Photo: Kauffmann House, ca. 1892, Pitkin and Lake Avenues, Grand Lake, CO. Listed on the National Register of Historic Places in 1974. Photographed by User:Magicpiano (own work), 2012, [cc-by-4.0 (creativecommons.org/licenses/by-sa/4.0/deed.en)], via Wikimedia Commons, accessed October, 2015. 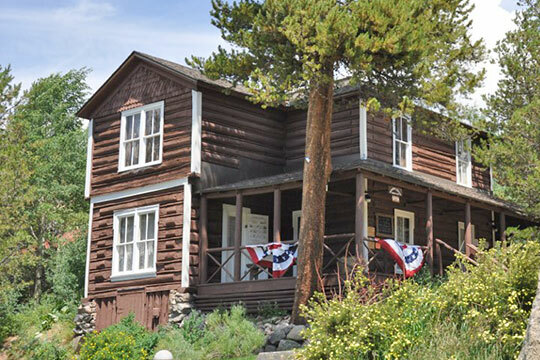 Grand County administrative offices are located at 308 Byers Avenue, Hot Sulphur Springs, CO 80451; phone: 970-725-3347. Grand County was created in 1874 from part of Summit County. It was named for Grand Lake and Grand River.